Arguably the most famous ball in history! 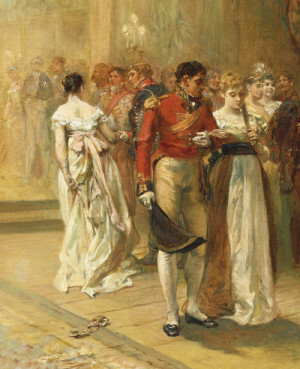 On the 15th June 1815 The Duchess of Richmond hosted a grand ball at their home in Brussels. The cream of Belgian and Dutch Society was invited together with British civilians, diplomats and army officers. But the arrival of a messenger half-way through the evening changed the course of history.